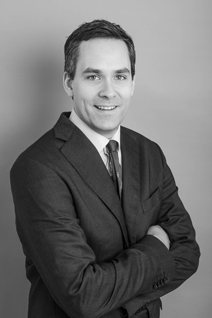 Chris Peach is a Consultant Orthopaedic Surgeon who specialises in treating disorders of the shoulder and the elbow and traumatic injuries of the entire upper limb. His expertise in arthroscopic (keyhole) surgery of the shoulder and the elbow enables treatment of sporting injuries to ensure a satisfactory and rapid return to the desired activity. He is also able to offer arthroscopic surgery for other conditions affecting the shoulder and the elbow as well as joint replacement surgery. Chris is a Consultant at the University Hospital of South Manchester, a large teaching hospital in Wythenshawe. His private consultations take place at the BMI Alexandra Hospital in Cheadle, the Spire Manchester Hospital in Manchester and the Spire Cheshire Hospital in Warrington. Chris graduated as a doctor from Imperial College School of Medicine and trained as an Orthopaedic Surgeon in London, Oxford and the North West. He spent two years undertaking a post-graduate research degree at the University of Oxford, having been awarded the prestigious Royal College of Surgeons of England Research Fellowship and examined the genetic basis of Osteoarthritis of the shoulder. Chris trained as a fellow in the Upper Limb Unit at Wrightington Hospital under Mr Ian Trail, Mr Len Funk and Mr John Haines. He also was awarded the Sheffield Shoulder and Elbow Fellowship and trained at the internationally recognised Northern General Hospital Upper Limb Unit with Mr David Stanley and Mr David Potter. Recently he has been invited to travel to the Mayo Clinic in the United States, in recognition of his interests in elbow surgery, to work with Dr Shawn O’Driscoll who is recognised as a world leader in complex elbow surgery. In 2013 he was awarded the British Elbow and Shoulder Society’s coveted North American Elbow Fellowship to further develop his experience in complex elbow surgery in the United States working with other leaders in the field. He continues to teach arthroscopic skills on national courses for orthopaedic surgeons in training. His research interests currently focus on the management of infection in elbow arthroplasty, patient reported outcomes (PROMS) following shoulder surgery and identification of osteoporosis in the fracture clinic. Chris lives in Hale with his young family and in his spare time plays racquet sports and competes in triathlons.